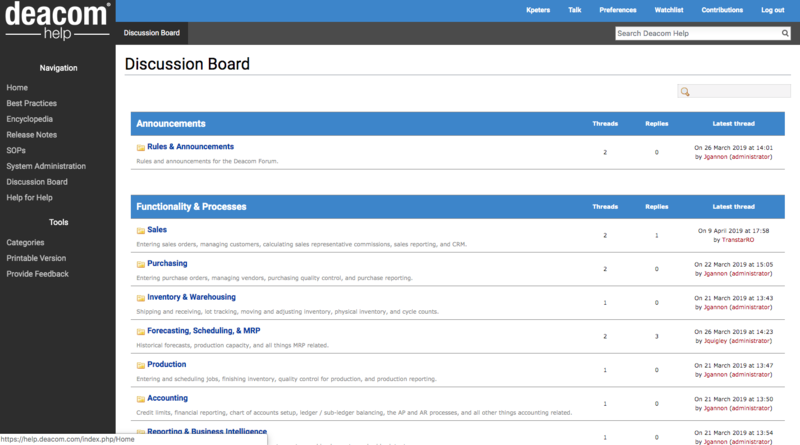 The Deacom Help System now contains a discussion board that connects users to other users and Deacom staff alike. What’s cool about Deacom’s first official discussion board is the ability to access up-to-date information regarding the DEACOM software and pick up some nifty tips and tricks directly from Deacom artisans! In addition, users can make suggestions for new features or ask for modifications to existing ones. At Deacom, we felt a properly moderated, official forum would better connect the user community. It would also allow us to offer a place where users can provide feedback directly to us instead of waiting to hear information through the grapevine. In the past, there were a few Deacom user groups, but these were not well known and tended not to provide the structure of forums that are monitored regularly. Now, with the discussion boards residing in the frame of the Deacom Help System, users can expect better visibility for their questions and suggestions. Access to the discussion board is simple. 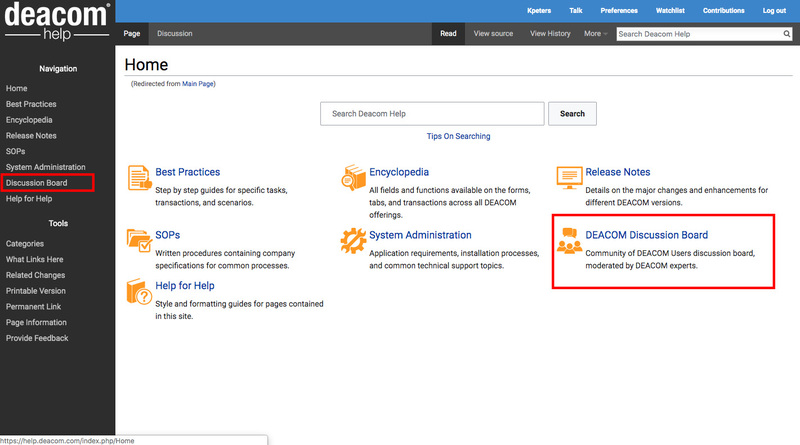 Users first need to login into the Deacom Help System and then click on the Discussion Board link on the left side menu or from the home page. If companies wish to have additional logins, they can simply send a request to documentation@deacom.com. Login in now and check out the new discussion board! Previous PostPrevious Deacom Discover 2019 is a Wrap!